Sara Biffoli of leading Chianti producer Castellare paid a flying visit today to show her wines. In addition to their Chiantis, we tasted wines from Rocca di Frassinello, their estate in Maremma, and Feudi del Pisciotto in Sicily. 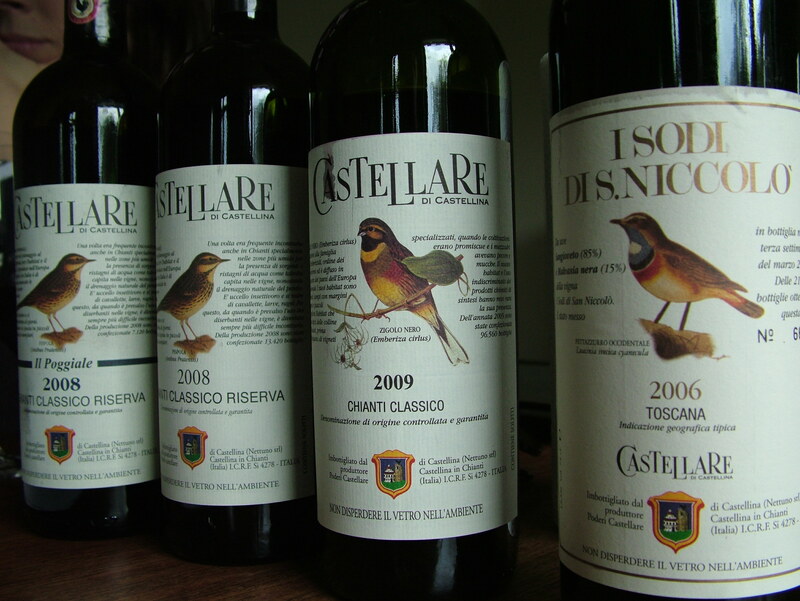 I really enjoyed the Castellare range; classic Chianti Classico, without too much oak or extraction, and an underlying minerality. The labels are quite distinctive too; apparently they chose one bird for each vintage, which then appears on every label. They were very reasonably priced too. Below, my picks from the ten wines we tasted. All of the wines are available from the Celtic Whiskey Shop, and possibly elsewhere too.